The Ocean Bay Chapter supports approximately 130 members serving Studebaker enthusiasts of Massachusetts and Rhode Island, with members throughout New England. The Chapter holds regularly scheduled chapter meetings each month in locations throughout Massachusetts and Rhode Island. Every effort is made to move the monthly meeting locations around in the two states to give everyone a chance to attend a meeting in their general location. Ocean Bay has long been a foundation in New England for the Studebaker enthusiast. It has been the backbone of the northeast, serving members of Massachusetts and Rhode Island as well as other parts of the New England area. The Ocean Bay Chapter is the largest and oldest continuous operating chapter of the Studebaker Drivers Club Inc. in New England. 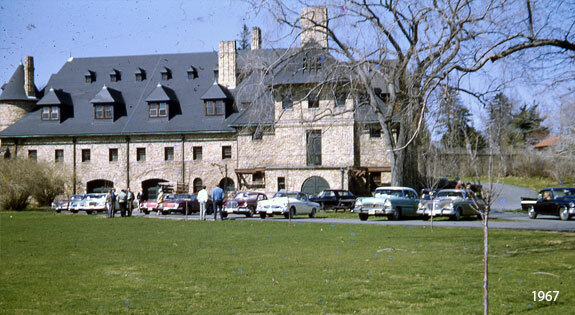 Ocean Bay’s heritage is well planted in the mid 1960’s when a group of Studebaker enthusiasts gathered periodically at the Larz Anderson Auto Museum, in Brookline Massachusetts, to socialize and display their Studebakers. They held chapter organizational meetings at the museum and were chartered by the Studebaker Drivers Club in February of 1967. The Chapter was originally charted as the “Massachusetts-Rhode Island Chapter” of the Studebaker Drivers Club Inc and later changed its name to the “Ocean-Bay Chapter” taking the nicknames of Massachusetts “Bay State” and Rhode Island “Ocean State”. The Ocean Bay Chapter has served Massachusetts and Rhode Island, as well as the rest of New England, since 1967 hosting regular monthly meetings and numerous successful Zone Meets for the Northeast Zone of the Studebaker Drivers Club from Plymouth to the Berkshires. Ocean Bay also hosted the Studebaker Drivers Club’s 26th International Meet, July of 1990 in Marlboro Massachusetts. Some 400 Studebaker-built automobiles attended the meet together with SDC members from all over the globe.